Sekiro’s combat system heavily relies on the Posture System. Unlike SoulsBorne games, instead of blocking and rolling, you will have to break an enemy’s Posture Meter, at least for most of the time. Posture in Shadows Die Twice is the single most important aspect of the game’s combat and you must learn all about it to be successful. 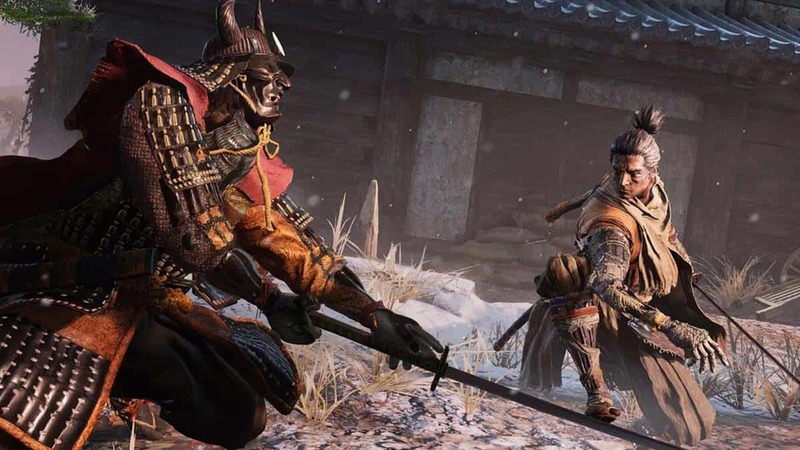 Our Sekiro Posture System Guide will help you understand the ins and outs of the Posture mechanic in Sekiro Shadows Die Twice. Once mastered, filling an enemy’s Posture Meter and breaking it will become a habit. 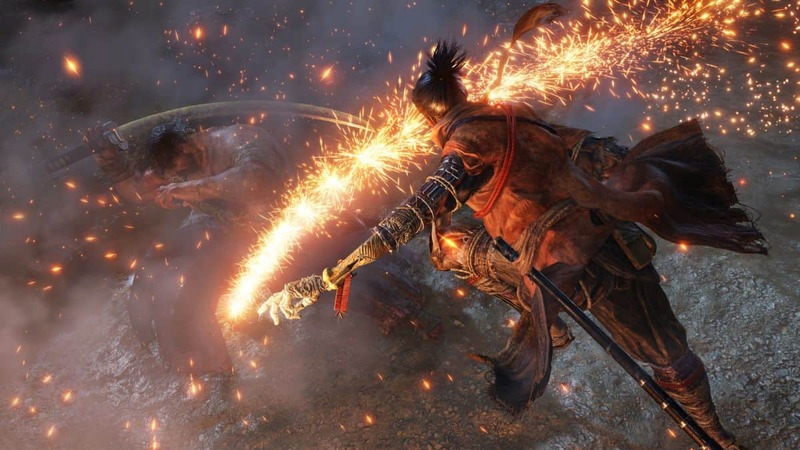 In our opinion, every Sekiro player needs to learn to break enemy Posture Meter so that they are able to stun enemies and land easy Deathblows. In Sekiro Shadows Die Twice, there is no Stamina bar. Therefore, while you can dodge and block indefinitely, this does have its repercussions. The enemies are super aggressive and attack relentlessly at every opportunity they get while not giving you an opening. Coming to the Posture System in the game, whenever you take damage or block, your Posture Meter fills up rapidly. The Posture Meter in Sekiro is indicated at the bottom of the screen. When the Posture Meter is fully filled, you will be staggered and the enemy will be able to land a Deathblow on you. Deathblows are powerful attacks that deal a lot of damage if not outright kill you. Similarly, every enemy in Sekiro Shadows Die Twice also has a Posture Meter indicated on top of the screen. When filled up completely, the enemy will be stunned, allowing you to land a Deathblow. A Deathblow will let you perform an execution on the enemy, killing him instantly – the majority of the times. However, bosses and mini-bosses will require you to land multiple Deathblows in order to go down. Therefore, it is paramount that you practice this technique. Sekiro also encourages stealth, but in situations where stealth is not an option, it requires you to get in close to try and break an enemy’s Posture to be successful. And the best way to do so is not blocking or dodging but to parry/deflect. How to Deflect in Sekiro? Deflection is like parry from Dark Souls and Bloodborne but the timing is not as tricky as before. You can deflect by pressing L1/LB that will let you absorb the enemy attack and fill his Posture Meter in the process. In essence, you should engage with a mixture of deflection, blocking, and relentless attacks until you manage to fill an enemy’s Posture Meter to stun him and land a Deathblow. Of course, this is easier said than done but you will have to practice it. Another thing to keep in mind is that worrying about filling Posture Meter is only relevant against tough enemies because early game mobs do not give you much trouble when it comes to Posture System. Another thing that you need to note here is that you must learn to maintain constant engagement, otherwise, the Posture Meter will start rapidly depleting and you do not want that. However, the same thing applies to you as well! Therefore, if your Posture Meter is about to get fully filled, you can fall back by either dodging away or grappling to a higher place. We hope this Sekiro Guide helped you understand the Posture System and stunning enemies a little bit better. If there is anything you would like to add, be sure to let us know!